You can select additional settings that apply to all the print jobs you send to your product. 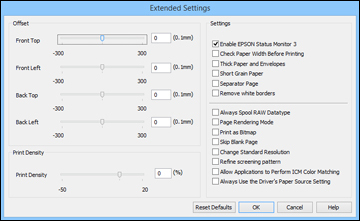 Select any of the extended settings to customize your print. Click OK to close the Extended Settings window.